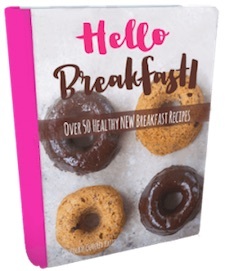 Chocolate Breakfast Recipes That Are Healthy! 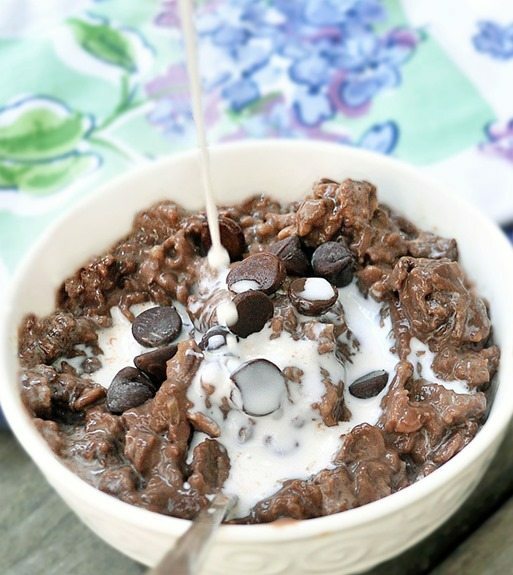 20 delicious & surprisingly wholesome chocolate breakfast recipes – because sometimes, you just wake up craving chocolate! 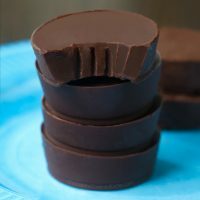 No matter how early it is in the morning, in my mind chocolate always sounds like a good idea. If you run into me at 9 am, I’ve probably already eaten chocolate in some form that day. Thankfully, eating chocolate for breakfast doesn’t have to be a diet derailer or unhealthy indulgence. 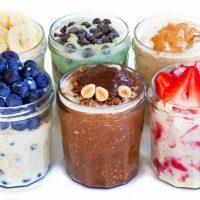 As the following 20 chocolate breakfast recipes prove, you absolutely can satisfy your inner chocoholic in a healthy way! 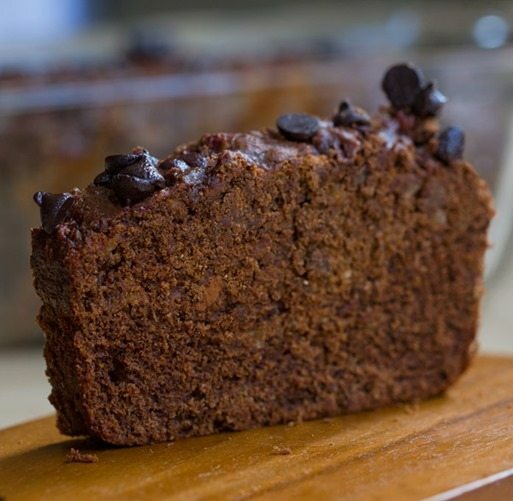 To make this moist coconut chocolate banana bread, mash four ripe bananas in a large bowl, then stir in 1/2 cup cocoa powder, 1/2 cup coconut milk, baking powder, flour, salt, and a splash of vanilla. Bake at 350 degrees until a toothpick comes out clean. 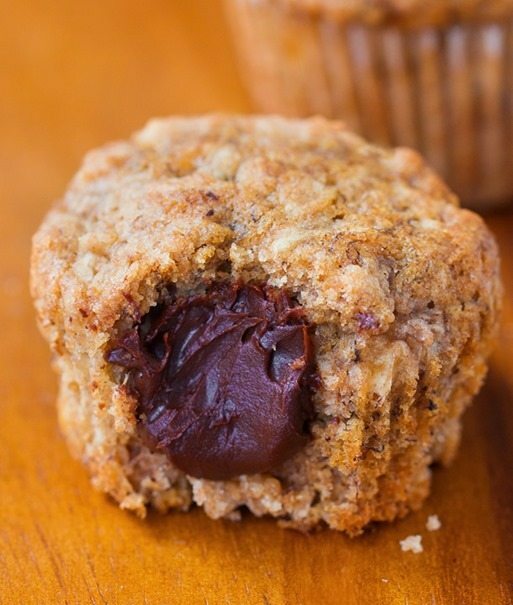 These super healthy blender muffins are AMAZING! 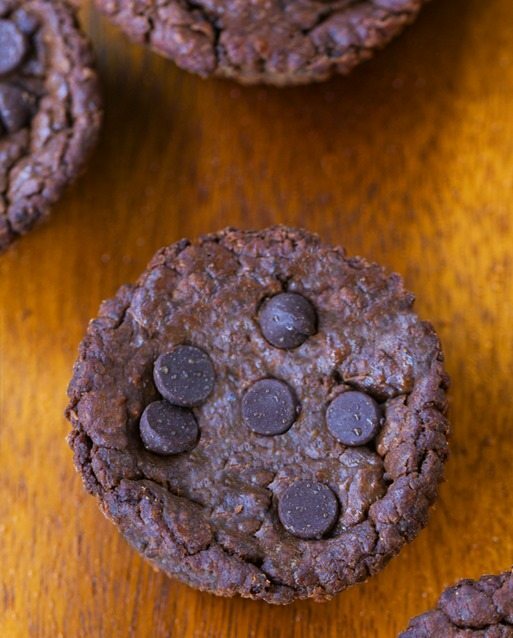 Their fudgy texture makes them taste like eating chocolate cookie dough in the form of a muffin! 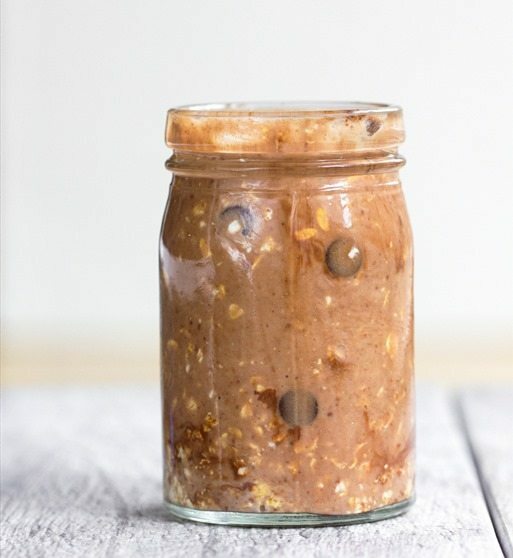 For this healthy brownie batter overnight oatmeal, mix rolled oats with a few pantry staple ingredients in a small container or mason jar the night before. The next morning, just stir everything together for a “no fuss” breakfast that will keep you full for hours. 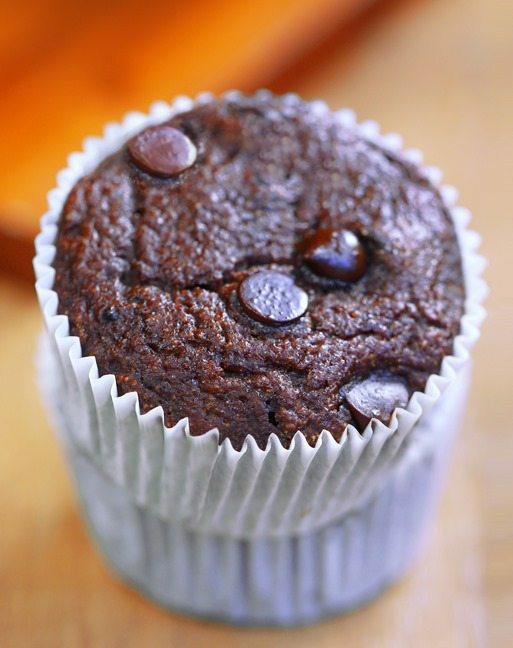 Make up a batch of flourless chocolate muffins for a healthy breakfast or snack: Throw a can of black beans into the blender, add some cocoa powder, mashed banana or applesauce, baking soda, baking powder, and vanilla, and blend. 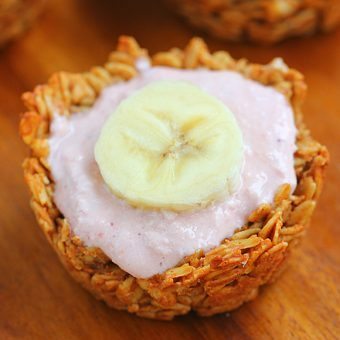 Portion the batter into muffin tins, bake at 350, and enjoy! With Fall just around the corner (yes, it is almost Pumpkin season again), now is the perfect time to bake up a large batch of this melty, gooey chocolate chip pumpkin baked oatmeal. Your entire home will smell like pumpkin pie! 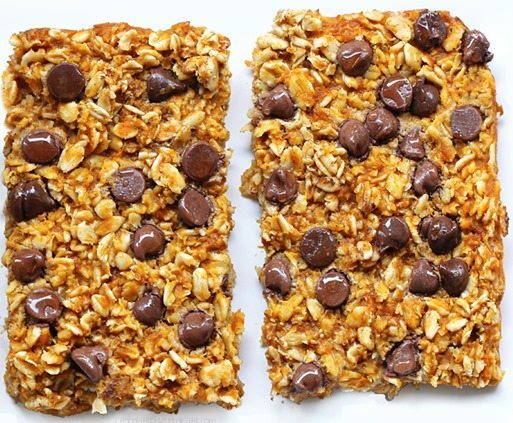 To make these chocolate breakfast bars, add maple syrup, rolled oats, cocoa powder, salt, & vanilla to a food processor. 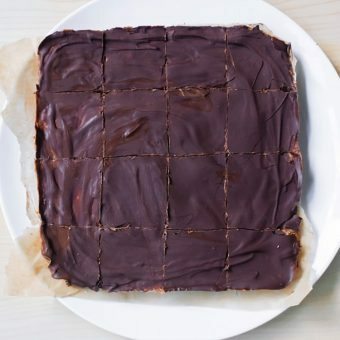 Press into a pan, freeze 1 hour, then slice into bars. 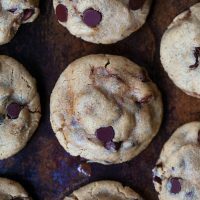 For these wholesome chocolate chip breakfast cookies, stir together a handful of mini chocolate chips, applesauce or banana, and whatever nut butter you want to use. Then add all other ingredients and stir. 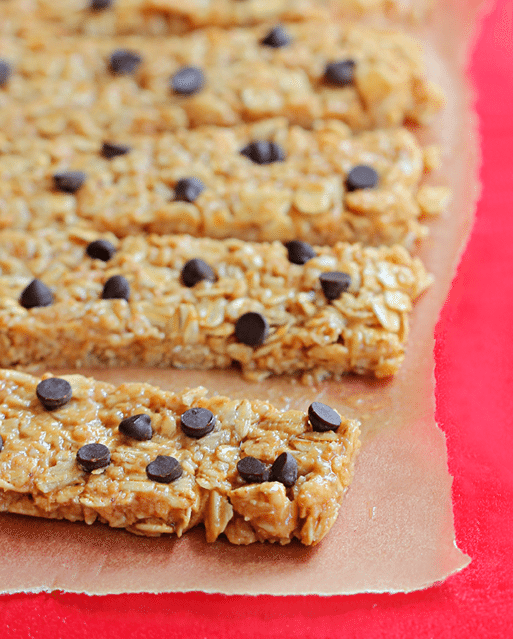 Shape into cookies, and bake 15 minutes. 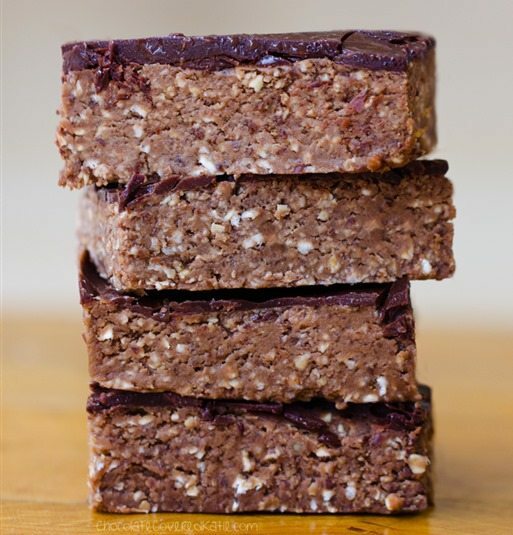 If you like the idea of protein powder but never really know quite what to do with it, making a batch of chocolate peanut butter protein bars is the perfect way to use up some of that protein powder hanging out in the back of your kitchen cabinet. 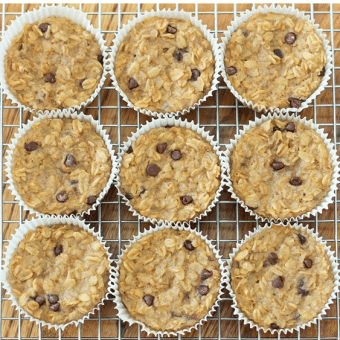 Breakfast oatmeal cupcakes are one of the easiest chocolate breakfast recipes you could possibly make – Leftovers can be portioned out and frozen for up to two months, and you just pop one in the oven or microwave and can take it with you on the go. 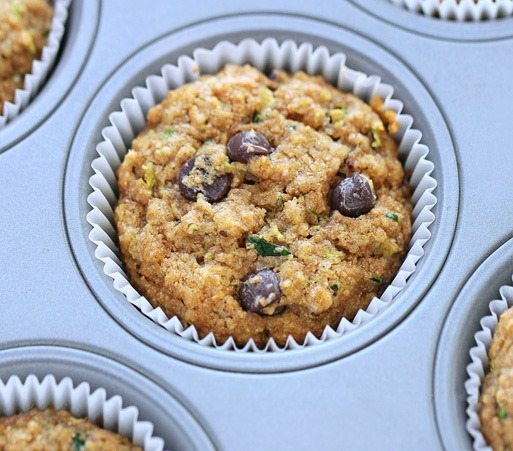 Any time you find yourself with extra zucchini to use up, simply shred it and add it to your favorite muffin batter, for a sneaky breakfast health boost. 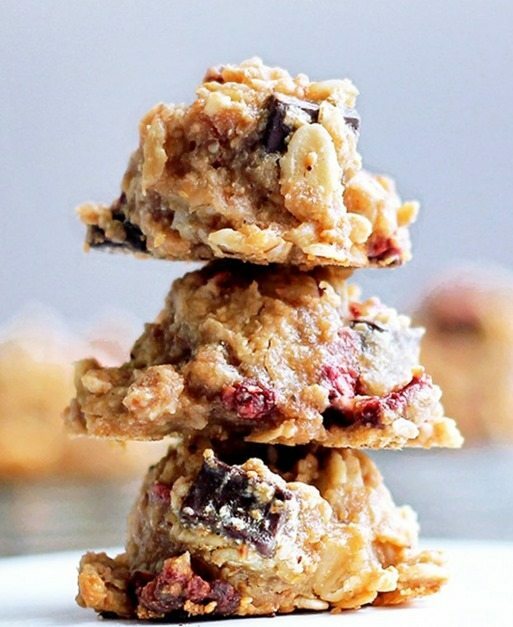 Combine rolled oats, peanut butter, and protein powder to make super-easy & healthy granola bars. 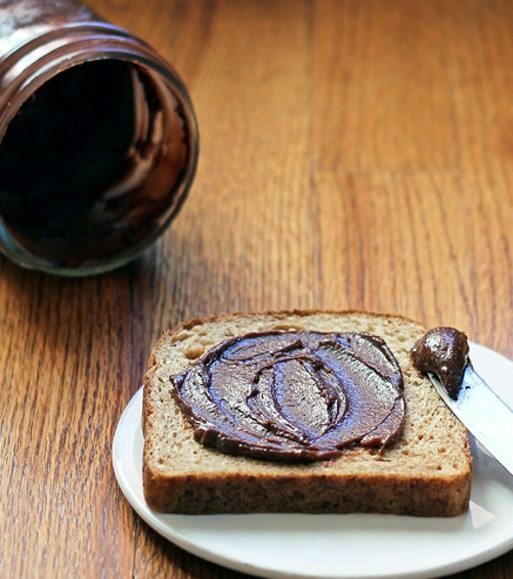 Roast hazelnuts in the oven, then blend with cocoa powder, vanilla, and almond extract for a smooth chocolatey spread that tastes exactly like Nutella, without all the sugar and processed ingredients. True Italian hot chocolate is so thick and smooth, it’s almost like drinking a liquid chocolate bar. If you think Swiss Miss is real hot chocolate, drop whatever it is you are doing right now and make this recipe immediately. 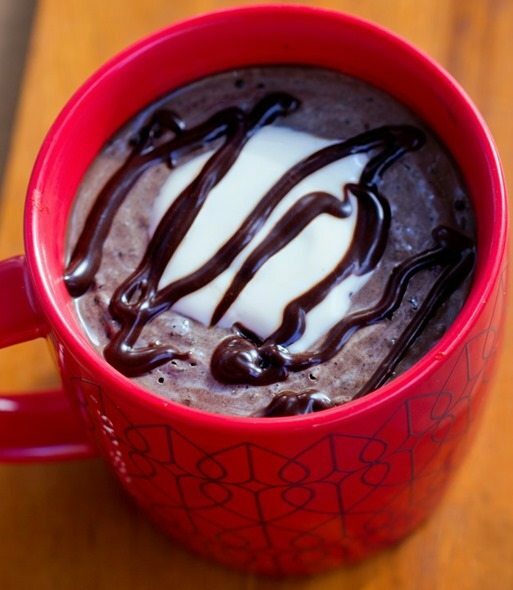 It will change everything you thought you knew about hot chocolate. I could eat a hundred of these soft and homemade banana bread muffins, hot from the oven and stuffed with gooey homemade Nutella filling. Quinoa is the perfect bored-of-oatmeal breakfast, and you can make multiple servings at once and save the leftovers for three or four days. 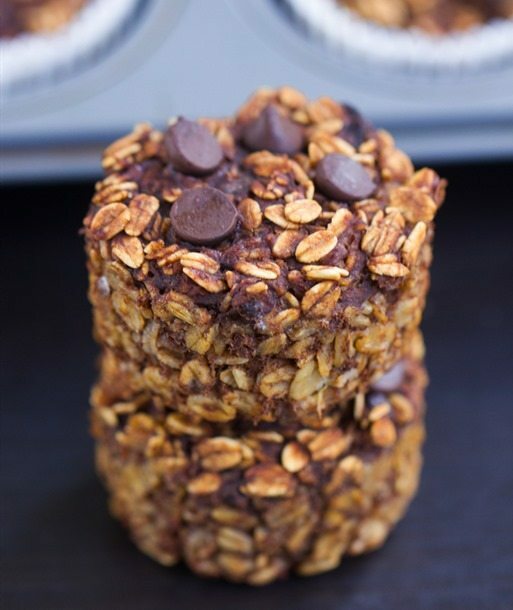 I like to add chocolate chips to mine whenever I make this. To cut back on fat without sacrificing moisture, this recipe packs a full two cups of mashed banana into the batter. 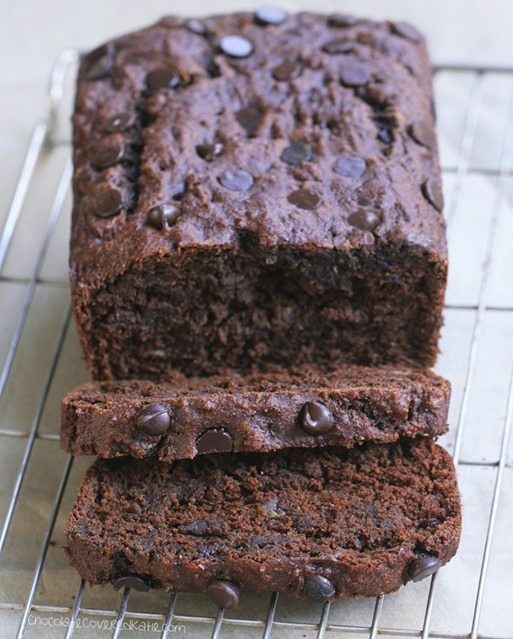 The result is a chocolate banana bread so rich and sweet that you’d swear it must be full of fat and sugar. 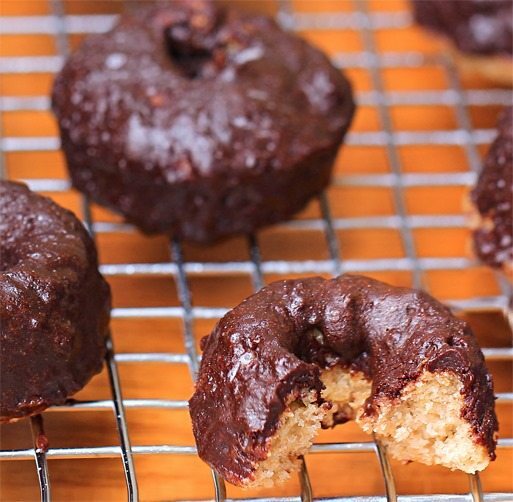 These homemade Entenmann’s chocolate mini donuts have half the calories and twice the protein and fiber as the originals. It’s impossible to stop at one! 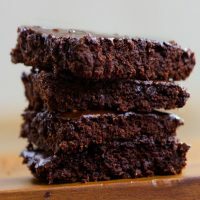 These low-fat chocolate muffins call for yogurt instead of oil, adding moisture and softness without all the added fat. 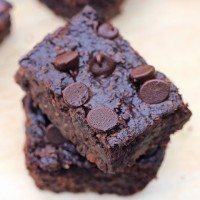 They are surprisingly rich and chocolatey! 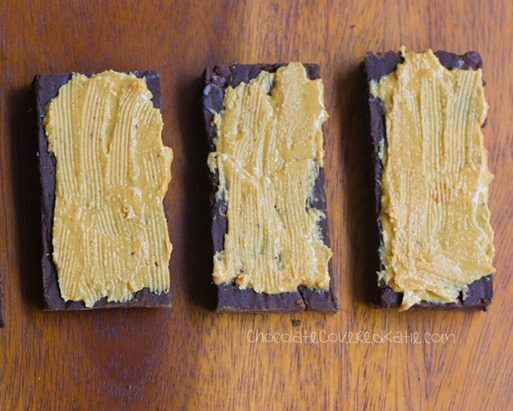 If you are a chocolate lover and a peanut butter lover, this chocolate peanut butter bread is the best of both worlds. 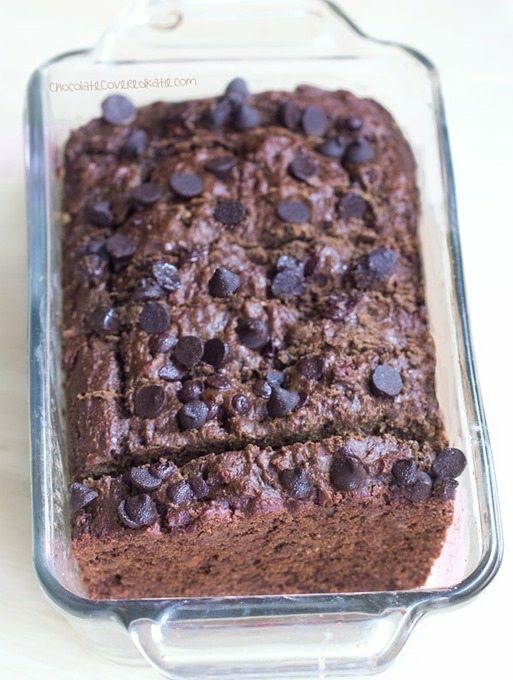 Deep, dark chocolate combines with smooth peanut butter for what might just be the most delicious healthy breakfast bread you’ve ever tried. 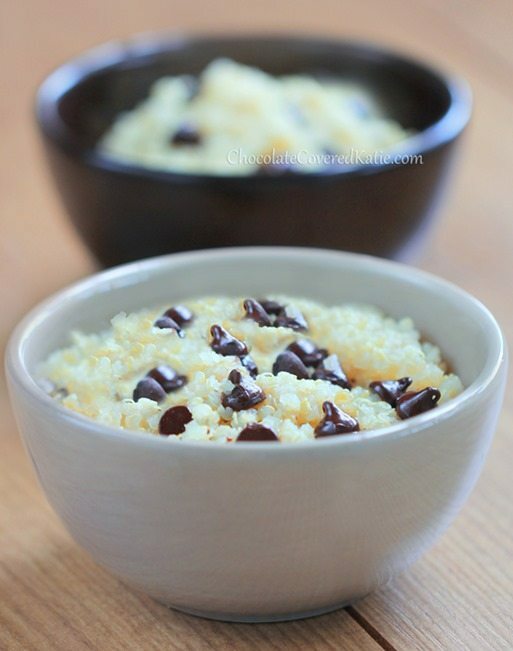 One of my favorite things to make for breakfast when I’m craving chocolate is 5 minute chocolate oatmeal. 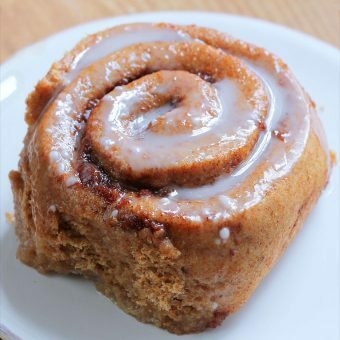 It’s healthy, filling, and it tastes like eating dessert for breakfast. 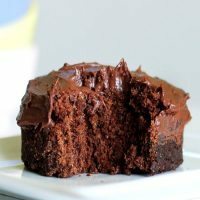 What are your favorite chocolate breakfast recipes??? Feel free to leave a link in the comments! 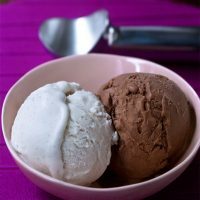 These all look delicious, especially the chocolate cheesecake boatmeal! I seriously have to try that. 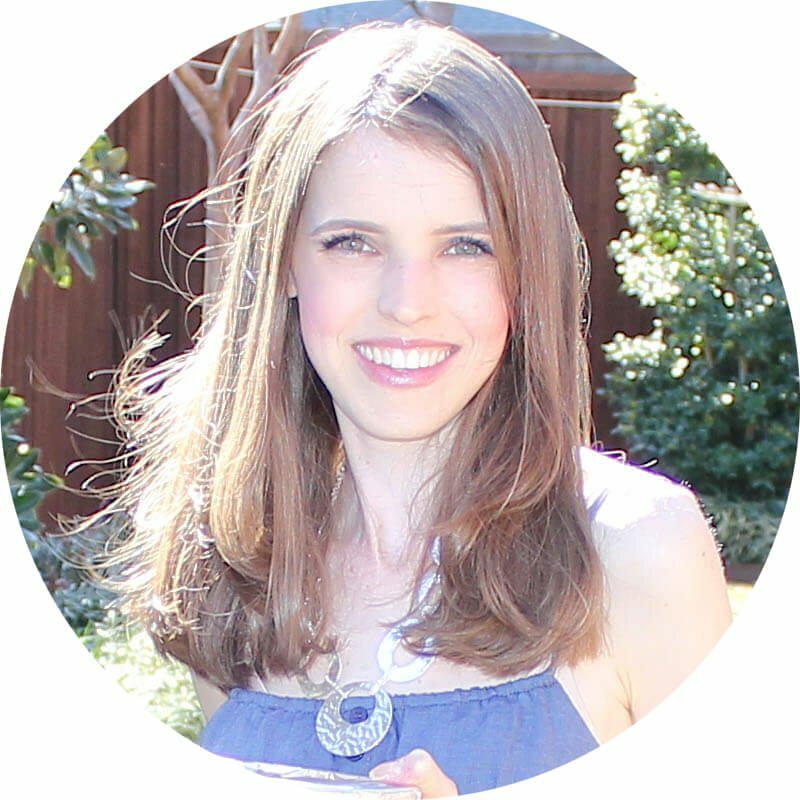 Katie, thank you so much for all you wonderful chocolate recipes. 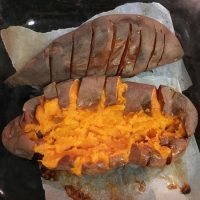 My grandchildren can’t wait to see what I am going to make next, and I just love that the recipe’s are not unhealthy. Of course they don’t know that. Lol!!!! Your very chocolatey sweet to share them!! Katie, these are all wonderful recipes! 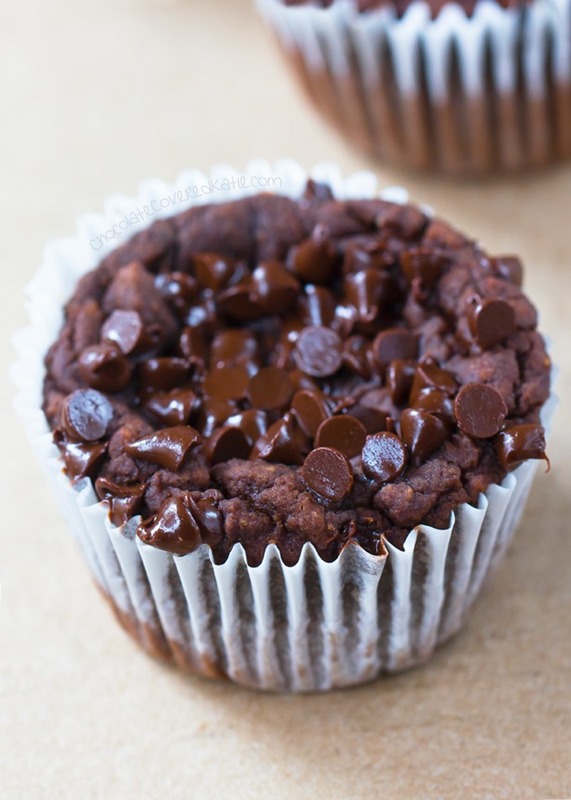 Your chocolate blender muffins are first on my list to make. I love having chocolate for breakfast! (In fact, I had some healthy chocolate pancakes this morning?!) 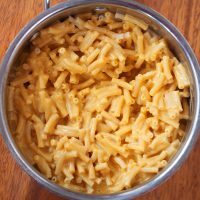 These all look really yummy, thanks for compiling this list! The last picture of the oatmeal is fabulous. The only problem is I don’t know which one to try first…. 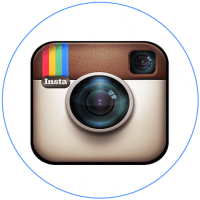 Oh my goodness, this post is full of so many yummy looking recipes! The muffins all look delicious :3 Thanks for sharing! Hi Katie! This is Evelyn C.! I don’t know if you just haven’t had a chance to reply or not, but I sent an email to [email protected] and I don’t know if this was the correct email to send this to or not? Either that or my email just didn’t go through!! ? I just had some questions for you, that’s all? Sorry to sound impatient!! Have a great day! 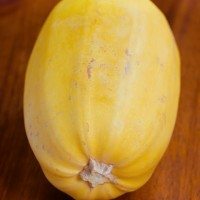 thanks for this great looking list, saw it linked to a more recent recipe and the title took me here. great to have for the holidays! thank you!